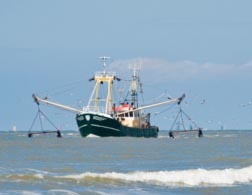 EU legislation to protect the marine environment has been progressively implemented in many relevant areas: for instance the regulation of fisheries through the Common Fisheries Policy (CFP) or the control of input of nutrients and chemicals into the water through the Water Framework Directive (WFD). But these pieces of legislation, although crucial complementary tools to the protection of marine waters, contribute to the protection of the sea only from specific pressures resulting in a fragmented and sectoral approach. That is why the European Union has adopted two instruments, the 2002 EU Recommendation on Integrated Coastal Zone Management and the 2008 Marine Strategy Framework Directive, which offer a comprehensive and integrated approach to the protection of all European coasts and marine waters. The Marine Strategy Framework Directive ( or Marine Directive) is the first encompassing piece of EU legislation specifically aimed at the protection of the marine environment and natural resources and creating a framework for the sustainable use of our marine waters. The Directive involves many implementation challenges, which are addressed through a Common Implementation Strategy between the Commission and the Member States and a regional approach to the implementation of its objectives. The 2002 Recommendation on Integrated Coastal Zone Management defines the principles of sound coastal planning and management. The need for such a tool has come from the realisation that despite increasing deterioration of the natural, socio-economic and cultural resources of our European coastal zones, coastal planning activities or development decisions still take place in a sectoral, fragmented, way leading to inefficient use of resources, conflicting claims on space and missed opportunities for more sustainable coastal development. The Marine Directive is the environmental pillar of the cross-cutting Integrated Maritime Policy (IMP), which was presented by the Commission in October 2007. It was the outcome of a European Task Force established in 2005 to address the problems arising from the fragmented management of the EU's maritime areas. It covers all sectors affecting our oceans and seas. The aim of the IMP is to achieve the full economic potential of the seas in harmony with the marine environment. It is the first time a policy has brought together all the sectors that affect the oceans. Successful implementation of the Marine Directive will be vital if the Integrated Maritime Policy is to be delivered as intended.